The 1980 Mid-West Old Tyme Hockey League Draft is scheduled for Sunday November 18th, at 8:00 PM ET. We will conduct the Auction in the MWHL Chat Room – As always we will be welcoming in Stacy Corrado (Stray’s Wife) as the Official Mid-West Old Tyme Hockey League Draft Coordinator. 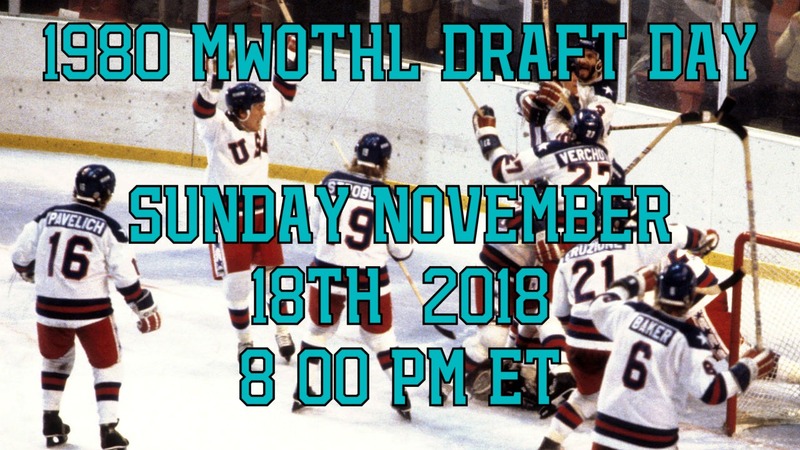 More details will follow on the 1980 MWOTHL Draft, but for now please mark down the date of Sunday November 18th, at 8:00 PM ET.